You can start your adventures in the world of Telara today for less than the price of a meal at McDonalds. Trion Worlds prides Rift as one of the first new MMOs to really take a bite out of WoW's subscriber count. So, when Blizzard fires a shot by making its free trial unlimited, Trion couldn't just take that lying down. So, here we are with the Rift Summer Sizzler Sale (nice alliteration, guys). For a limited time, Trion has dropped the price of both the game and the Collectors' Edition on its online store. The regular version of Rift is now $4.99, down from $24.99. The Collectors' Edition is actually a bit of a better deal now, too - at $9.99 from its usual price of $34.99. From what I can see, however, these editions do not come with a free month of gameplay, so get ready to add a few bucks on top of that if you want to dive into the world of Telara. 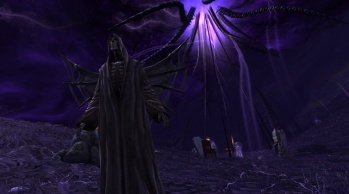 Rift may not have been a game-changer, but it was certainly a damn solid MMORPG. If that's your sort of thing, and you're not already playing WoW, then a $5 deal is actually pretty sweet. Just don't blame me if you get addicted.